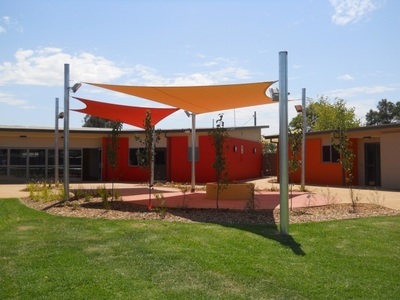 Funded by the Supported Accommodation Innovations Fund (SAIF) this project comprises the purchase of land in Dubbo and building a highly flexible medium density cluster of villas to house a minimum of five people with severe and profound disability who have left statutory state care. Internal spaces adapt easily around residents’ changing needs, providing flexibility required for design and delivery of individual support services to maximising residents’ self-determination and informed choice concerning their adult lives. Each villa is quality accommodation offering flexibility in design to meet a range of needs and including state of the art smart technologies, security, and high-speed wireless Internet or NBN compatibility. The villas are oriented in a cluster allowing for separation and independence but also shared use of innovative interactive outdoor areas and covered spaces designed for culturally sensitive social interaction. Each villa is self contained including private access, bedroom, bathroom, kitchen and living space. The project is a partnership between Housing Plus as the developers/asset owners, and CareWest who will provide the client care and support service. Barnsons have been contracted as the project managers, and David Payne Construction who have provided the construction services.